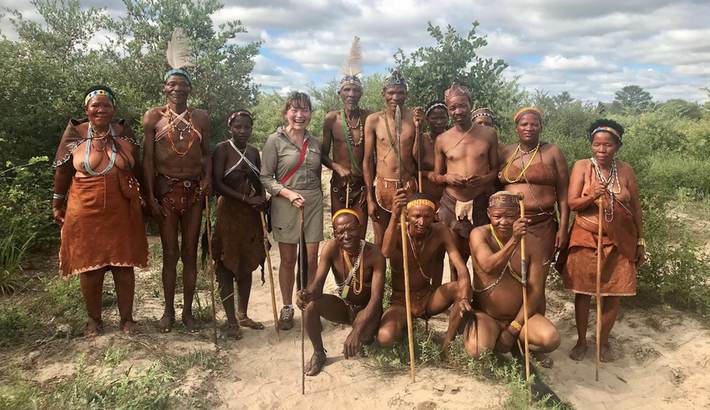 Lorraine Kelly from the Daily Mail shared here experiences on safari in South Africa and Botswana. After the South African leg of here safari she flew to The Lodge in Botswana to really get away from it all. Now if you really want to get away from it all, this is where you want to be. The attention to detail is admirable, from the huge pool that attracts all sorts of wildlife, including thirsty elephants, to the comfy swing seats at the well-stocked bar. And there’s a constant supply of home-cooked food. Feline Fields is all about relaxation and listening to Africa’s heartbeat. I had a massage outside with local products that made the stress simply ooze from my body. I really enjoyed our morning out walking with the local San bush people, because it wasn’t the usual patronising tourist tour but a real insight into a culture that has so much to teach us all.